You can save your own title blocks and frames in any folder. If you create a layout style in Advance Concrete, then Advance opens this folder for selecting the layout elements. Start pure AutoCAD® (without Advance). 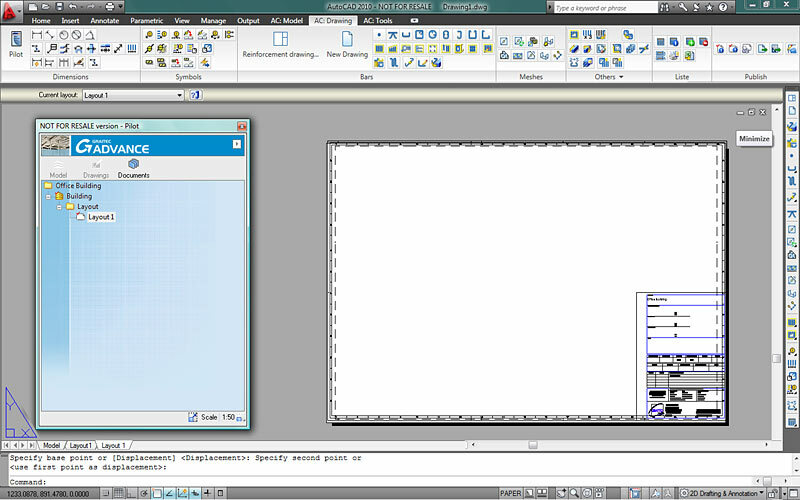 You can draw your layout frame with the AutoCAD® commands (Line, Circle, Text, etc.). If you already have some layout frames and title blocks, then these could be used. 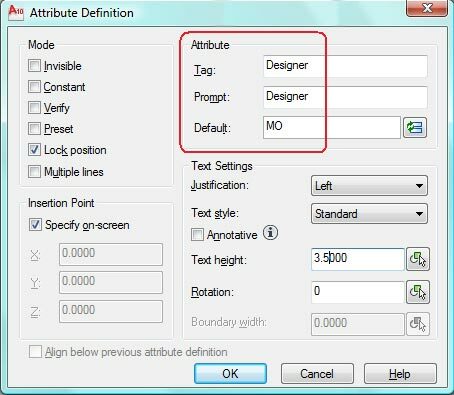 Create the layout frame in the Model mode (NOT in the Layout mode) of AutoCAD®. The drawing unit is [mm], 1 drawing unit = 1 mm. Match the size of the frame to the printable layout and recognize the print limits (e.g. Plot size DIN A0, create the frame a little bit smaller). Draw the frame in the desired size and setup the line color, line type and line thickness. You can create the frame on any layer you want. Save the frame and close the DWG file. It is nearly the same procedure to create a title block, as described for the frame. The same basic criteria (e.g. drawing units) apply. As a block with AutoCAD® Attributes and Advance project data. Advance places the title block in a specific (adjustable) position in the layout. The standard position is "bottom right". But the layout frame must be taken into account, which is between the point and the title block (e.g. with 5 mm border). Because of this you must create a "Point" on the bottom right corner of the title block with the distance of the border of the layout frame. In this example it is 5 mm in each direction. The simple title block uses the same procedure as the creation of the layout frame. Just draw lines, circles, create texts and save the DWG file. Create the title block like in the simple version. 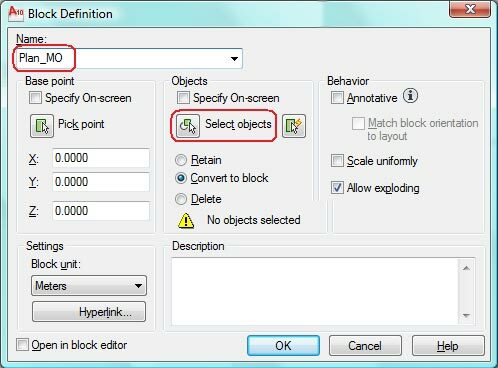 Next you can create additional elements (AutoCAD® attributes) in the title block. You can fill these attributes later in the Advance Concrete layout . In this is example only a few attributes are created in the title block; you can create as many attributes as are needed. Next you have to create a block from this title block to be able to use the attribute functions later in the Advance layouts. 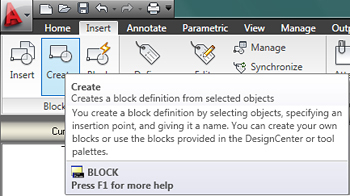 A dialog box appears where the elements (remember the point in the bottom right corner) of the block are defined and the block is given a name. Click "OK" and another dialog box appears. Click "Cancel" or "OK" since these fields will be filled in the Advance layout. Save the title block and close the file. 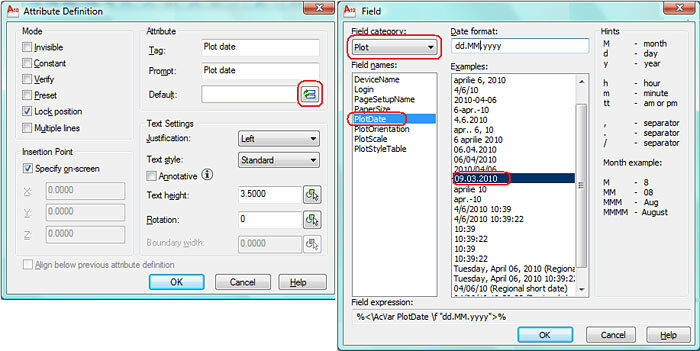 In addition to the attributes described above you can also use Advance Concrete project information in the title block. Add the Advance attribute as a text inside brackets. 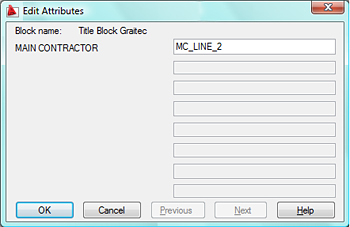 Do NOT include these Advance attributes in the block; just save them as normal text with the title block DWG file.